Yangzijiang Shipbuilding said on Thursday it entered a joint venture agreement with Japanese shipbuilding yards Mitsui E&S Shipbuilding (MES-SC) and Mitsui & Co. to build a range of commercial vessels. The joint venture will have registered share capital of up to US$99.9 million and the total capital employed could amount to US$299 million, it said in a filing to SGX after the market close on Thursday. Chip Eng Seng said on Thursday that new substantial shareholder Celine Tang has been appointed as non-independent and non-executive director and non-executive chairman and Raymond Chia Lee Meng has ceased to be executive chairman. Keppel Data Centres, Huawei, Xiangjiang and Cloud Engine said on Thursday they entered an agreement to cooperate on developing more efficient and robust data centers. “The companies will tap one another’s expertise to develop, operate and maintain high-availability data centers in China and around the world by leveraging their respective core strengths,” the companies said in a filing to SGX after the market close on Thursday. Best Grace Holdings has withdrawn its offer to buy all of Delong Holdings as its bid would need to be raised to be compliant with Singapore’s takeover code, it said in a filing to SGX after the market close on Thursday. L Catterton Asia’s retirement of most of its 58.86 percent deemed interest in Sasseur REIT is “a normal course of action for the fund,” and it remained confident in the REIT’s growth, the private equity firm said on Thursday. The deemed stake is now at 1.36 percent, it said in a filing to SGX after the market close on Thursday. That was after a buyback exercise by the REIT sponsor, Sasseur Cayman Holding. DBS said on Thursday that it bought back 1 million shares in the market at S$24.12 to S$24.43 each for a total consideration, including other costs, of S$24.31 million. Since the April 2018 start of the buyback mandate, DBS has bought back 10,054,800 shares, or 0.3922 percent of the issued shares excluding treasury shares at the time the mandate began, it said in a filing to SGX after the market close on Thursday. City Developments said on Thursday that it bought back 200,000 shares in the market at S$8.11 to S$8.23 each for a total consideration, including other costs, of S$1.64 million. Since the April 2018 start of the buyback mandate, City Developments has bought back 1.9 million shares, or 0.209 percent of the issued shares excluding treasury shares when the mandate began, it said in a filing to SGX after the market close on Thursday. SATS said on Thursday that it bought back 332,100 shares in the market at S$4.82 to S$4.90 each for a total consideration, including other costs, of S$1.62 million. Since the July 2018 start of the buyback mandate, SATS has bought back 569,900 shares, or 0.051 percent of the issued shares excluding treasury shares at the time the mandate began, it said in a filing to SGX after the market close on Thursday. Aspial Corp. said on Thursday that it issued S$50 million 6.25 percent notes due 2021 under its S$700 million multicurrency debt issuance program. 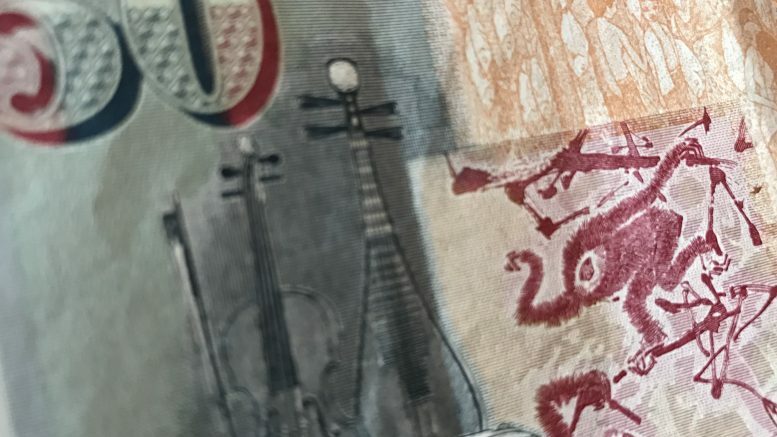 The notes comprised S$29.25 million in aggregate principal amount of new notes issued under its invitation to exchange some of its existing notes and S$20.75 million in additional notes, it said in a filing to SGX after the market close on Thursday. Singapore Exchange Securities Trading Ltd. (SGX-ST) has given approval in principle for the listing and quotation of the notes, it said. Aspial Corp. CEO and Executive Director Koh Wee Seng disposed of S$750,000 in aggregate principal amount of the company’s 5.05 percent notes due 2019 in exchange for S$750,000 6.25 percent notes due 2021, an exchange premium of S$3,750 and accrued interest of S$12,556, it said in a filing to SGX on Thursday after the market close. A separate filing said Director Ko Lee Meng exchanged S$1.25 million in aggregate principal amount of the 5.05 percent notes due 2019 for S$1.25 million of the 6.25 percent notes due 2021, an exchange premium of S$6,250 and accrued interest of S$20,926. The exchange was under Aspial’s invitation in September to noteholders of the outstanding 5.05 percent notes due 2019 to exchange for a like principal amount of the 6.25 percent notes due 2021. Sembcorp Industries said on Thursday that it bought back 200,000 shares in the market at S$2.87783 each for a total consideration, including other costs, of S$576,259. Since the April 2018 start of the buyback mandate, Sembcorp Industries has bought back 2.2 million shares, or 0.123 percent of the issued shares excluding treasury shares at the time the mandate began, it said in a filing to SGX after the market close on Thursday. The board of Wheelock Properties (Singapore) said on Thursday that SGX-ST had informed Star Attraction, which successfully obtained a more than 90 percent stake after a general offer for the property company’s shares, that it had no objection to delisting the company. Wheelock Properties’ shares were suspended from trade earlier this month after the free float fell below 10 percent. SPH REIT’s manager on Thursday released the valuation of the three properties in its portfolio. Edmund Tie & Co. (SEA) valued the Paragon mall on Orchard Road at S$2.719 billion, The Clementi Mall was valued at S$586 million and The Rail Mall was valued at S$63.3 million, it said in a filing to SGX after the market close on Thursday. The valuations were as of end-August, it said. Stamford Land said on Thursday that it bought back 1,611,300 shares in the market at S$0.495 each for a total consideration, including other costs, of S$798,799. Since the July 2018 start of the buyback mandate, Stamford Land has bought back 12,275,900 shares, or 1.421 percent of the issued shares excluding treasury shares at the time the mandate began, it said in a filing to SGX after the market close on Thursday. Kimly said on Thursday that it bought back 200,000 shares in the market at S$0.3025 each for a total consideration, including other costs, of S$60,785. Since the January 2018 start of the buyback mandate, Kimly has bought back 2.597 million shares, or 0.22 percent of the issued shares excluding treasury shares at the time the mandate began, it said in a filing to SGX after the market close on Thursday. SingHaiyi Group said on Thursday that it bought back 121,400 shares in the market at S$0.08882 each for a total consideration, including other costs, of S$10,830. Since the July 2018 start of the buyback mandate, SingHaiyi has bought back 5,230,600 shares, or 0.122 percent of the issued shares excluding treasury shares at the time the mandate began, it said in a filing to SGX after the market close on Thursday. Straits Trading said on Thursday that it bought back 9,000 shares in the market at S$2.03 to S$2.05 each for a total consideration, including other costs, of S$18,408. Those are the only shares Straits Trading has bought back since the August 2018 start of the buyback mandate, representing 0.002 percent of the issued shares excluding treasury shares, it said in a filing to SGX after the market close on Thursday. SunMoon Food said on Thursday that it bought back 100,000 shares in the market at S$0.047 each for a total consideration, including other costs, of S$4,745. Since the July 2018 start of the buyback mandate, SunMoon Food has bought back 1.47 million shares, or 0.2042 percent of the issued shares excluding treasury shares at the time the mandate began, it said in a filing to SGX after the market close on Thursday. Japfa said on Thursday that it bought back 50,000 shares in the market at S$0.59 each for a total consideration, including other costs, of S$29,688. Since the April 2018 start of the buyback mandate, Japfa has bought back 1.125 million shares, or 0.064 percent of the issued shares excluding treasury shares at the time the mandate began, it said in a filing to SGX after the market close on Thursday.